If you're overwhelmed by quickly-changing risk management and information security best practices, you're far from alone. Business Insurance magazine writes that a "fast-changing" threat landscape has piled "mounting pressures" on IT management. Smart vendor selection can reduce your staff's need to execute business continuity planning while reducing your risks. With the right hosting or colocation vendor, you can significantly reduce your IT risk management budget. 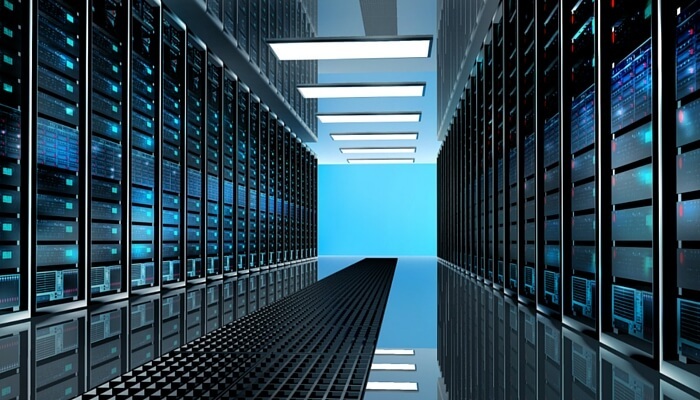 The Uptime Institute has established standards for data center redundancy. Achieving Tier IV redundancy means a data center has redundancy for each function (such as electrical or cooling) to facilitate 99.995% uptime or better. Entering an agreement with the right vendor can significantly improve your disaster-recovery planning for data assets. 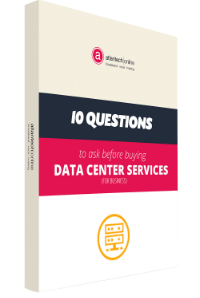 In this blog, you'll learn about five ways Atlantech reduces client risks while managing our data center workloads. Service interruption attacks from International sources often occur outside of traditional business hours. If your data center only has on-site staff forty hours a week, your data could be vulnerable during evenings and the weekends. Staffing is a major component of data center physical security, along with building access controls and security cameras. On-site staffing, when coupled with temperature and humidity sensors and other detection technologies, can ensure the quickest possible response if anything goes wrong. Atlantech offers 24/7/365 on-site staffing and allows customers to visit the data center at any time, any day of the week. Without a reliable power source, customers may experience poor uptime. Electricity is critical to data asset access. Even in areas that are not frequently prone to power outages, at least one redundant power source is critical to business continuity. Multiple layers of redundant power is optimal, especially if you are at risk for extended power outages. Atlantech's power continuity plan includes a direct connection to a multi-substation power grid. This maximizes the reliability of our primary power source. Our redundancy planning includes online battery and diesel generator backups. We also have contracts with fuel providers to continue receiving fuel sources indefinitely if we are ever reliant on our diesel generator. Changes in temperature or humidity in a data center environment can result in costly loss of equipment. Maintaining a tightly-controlled temperature set point is crucial. At an absolute minimum, any hosting providers you are considering using as a vendor should have redundant cooling units and sensors to continually monitor humidity and temperature. Optimally, environmental control is maintained with many levels of safeguards. Redundant HVAC equipment and extra cooling pipes can protect assets, even if one aspect of the temperature control system stops working. Atlantech maintains strict environmental control, which includes redundant equipment for a 45% humidity level and over 140 tons of cooling capacity. Fiber-optic connectivity represents the gold standard for data center uptime and availability. Traditional copper wiring is far more vulnerable to weather conditions and other issues, including temperature fluctuations or accidental damage. While there have been recorded instances of outages on fiber circuits carrying data destined for the Internet, these are rare and typically caused by extreme cases of vandalism. In one such rare case, the FBI is investigating vandalism in the San Francisco area caused by the physical act of slicing fiber. However, fiber circuits are far more resistant to inclement weather conditions. Atlantech's data centers offer fiber connectivity and multiple fiber paths into each of our facilities. In the rare case that extended emergency outages occur, data centers should have the ultimate in redundancy, which is remote backup locations. While an appropriately-designed data center should have cooling, electricity, and other forms of redundancy established, there could be instances where complete switch-over to a different location is necessary. This could occur in cases of flooding, earthquakes, or other major natural disasters. Being unable to access your data assets can devastate organizations of all sizes who rely on information in their databases, enterprise resources planning (ERP) and customer relationship management (CRM) tools to perform daily operations. If business continuity planning and disaster recovery are putting an unreasonable burden on your staff, switching to a hosting or colocation provider with extensive risk management experience can reduce your risks. For more information on Atlantech's state-of-the-art data center and colocation offerings, please contact one of our staff experts for additional insights! Get all the information you need to make the smartest decision for your business' data.